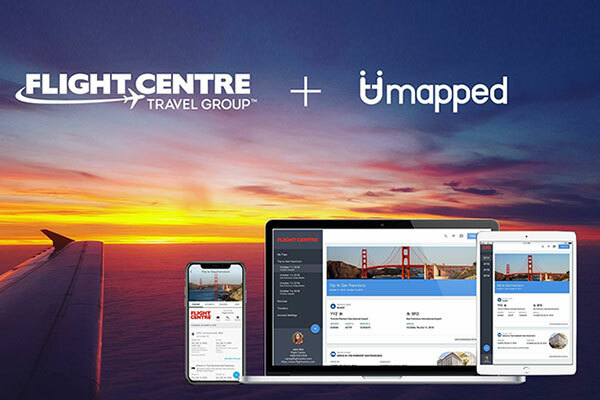 The Flight Centre Travel Group (FLT) has acquired Umapped – a Toronto-based technology company that provides travel documentation, communication and itinerary management software to the travel industry – fast-tracking its digital transformation. Announcing the deal, the company said that the acquisition will enhance its web and mobile services to deliver upgraded documentation, better templates and seamless, real-time communication between consultants and customers. Umapped’s products include the Trip Publisher itinerary builder and TripLinQ API services, which consolidate bookings, curated content and real-time location data into a single interface. Travellers’ quotes and documents are transformed from static emails and PDFs to a collaborative, living itinerary experience. As well, the software provides travel consultants access to collaborative features, chat and real-time updates that are delivered to their customers. FLT will take 100% ownership of Umapped and will use general cash to fund the acquisition. The purchase price is immaterial to the company and has not been disclosed. Umapped was founded in 2012 by Lisa Israelovitch and Thierry Wong, the business’ chief technology officer. The business has a team of 16 people, which includes an 11-person development team. Israelovitch and Wong will continue to run Umapped and will report to FLT’s chief digital officer, Atle Skalleberg.